The road woes the Wild experienced throughout the regular season carried over into the playoffs, plunging the team into an 0-2 hole against the Jets. But if its performance on home ice also translates, the team could start to claw its way back into its first-round series during Game 3 Sunday at Xcel Energy Center. 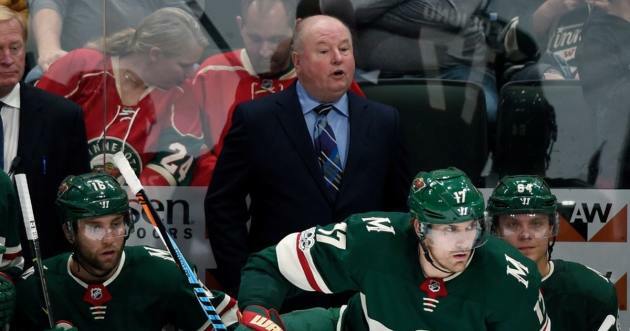 The Wild went 27-6-8 at home during the regular season, a source of confidence as it tries to recalibrate after 3-2 and 4-1 losses in Winnipeg earlier in the week. But just because the venue is changing doesn’t mean the Wild expects a different effort out of the Jets. Before the game, the Wild recalled forwards Kurtis Gabriel, Justin Kloos and Kyle Rau and goaltender Niklas Svedberg from Iowa of the American Hockey League. But don’t expect the team’s lineup to change. 77: Saves by Dubnyk through two games. 62: Points on home ice during the regular season. 2: Goals in two playoff games for winger Zach Parise. 57:01: How much defenseman Matt Dumba has played in the series. 6-6: The Wild’s all-time record in Game 3s. 7-9-2: The Jets’ all-time record at Xcel Energy Center. 84: Shots for the Jets through two games. 2: Assists for winger Jack Roslovic in his playoff debut Friday. 20-13-8: Winnipeg’s record on the road during the regular season. 20.8: The Jets’ efficiency on the power play on the road in the regular season.